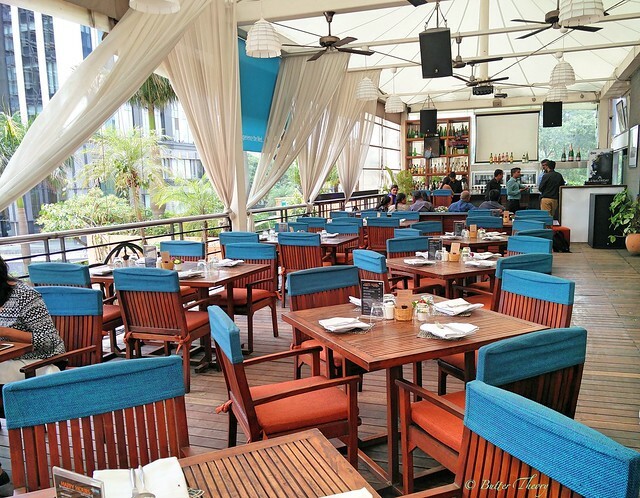 Fava, is an all day Mediterranean Bar & Restaurant, on the 2nd floor of UB City. Almost all of 2nd floor Piazza, has dining places in what you’d call a food court, but with decent partitions between each other! So a food walk was ever so easy! You’d be on the terrace, overlooking the beautiful UB towers, the skyscrapers, amphitheater and the fountain area ! You’re bound to be relaxed when you dine here! The decor of this place is quite good. Fava by Chef Abhijit Saha, who won the ‘Best Chef in India Award’ at the Indian Restaurant Congress and Awards 2013, was started in 2010. The menu crafted by the Chef is a very good selection of the the traditional dishes from the Mediterranean region. Not only does the menu have some tasty treats to offer, but also some healthy options inspired by the Mediterranean style of cooking! 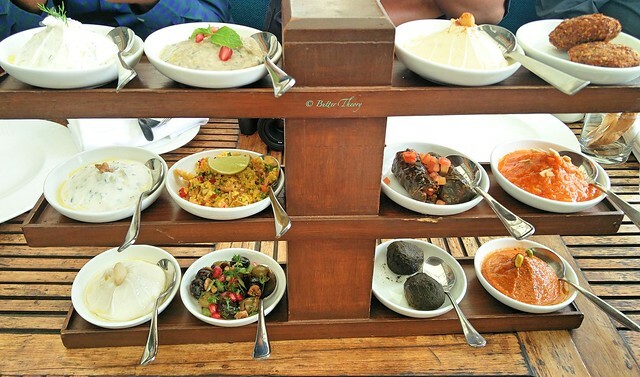 We started off with their famous Dozen Mezze . 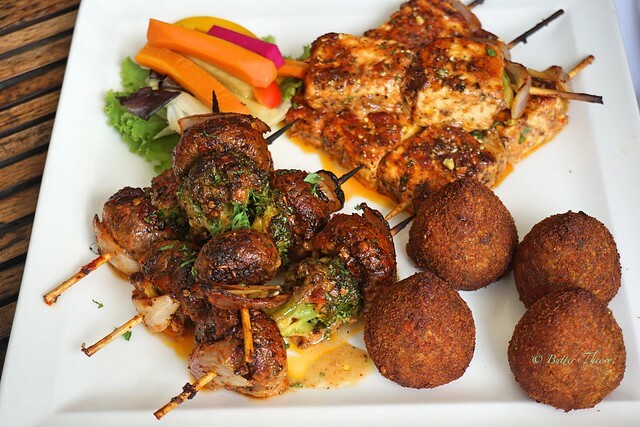 This is a classic Mediterranean platter with an assortment of 12 items, hence the name Dozen Mezze 🙂 It is served to accompany alcoholic drinks as a course or as appetizers before the main dish. 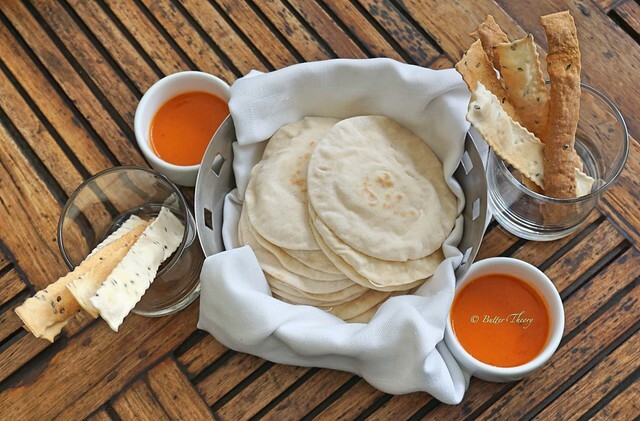 served with lavash and Pita breads. This is probably the first time I’ve seen fresh produce being used in front of patrons!! I couldn’t really believe all of those ingredients were going into this huge bowl that had lettuce in it 🙂 Micro greens are essentially a tiny form of young edible greens harvested at seeding stage after few leaves have begun to develop. 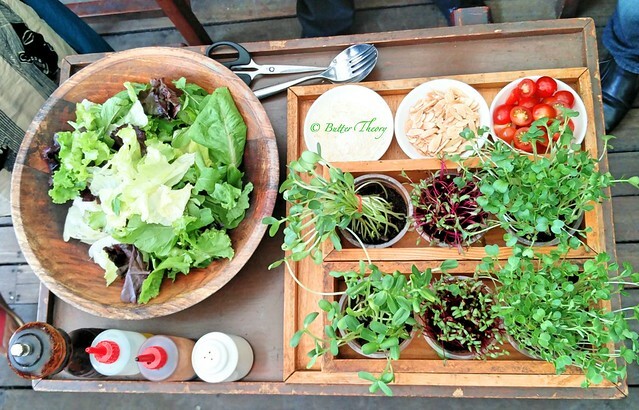 Micro-greens have a very strong flavor, and are generally more nutritious. 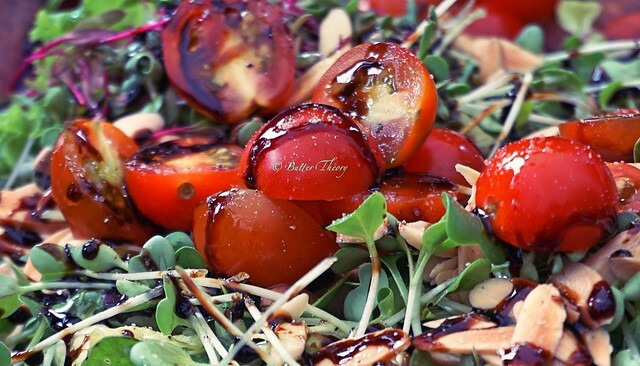 There was beetroot, radish, sunflower, cherry tomatoes, toasted almonds. 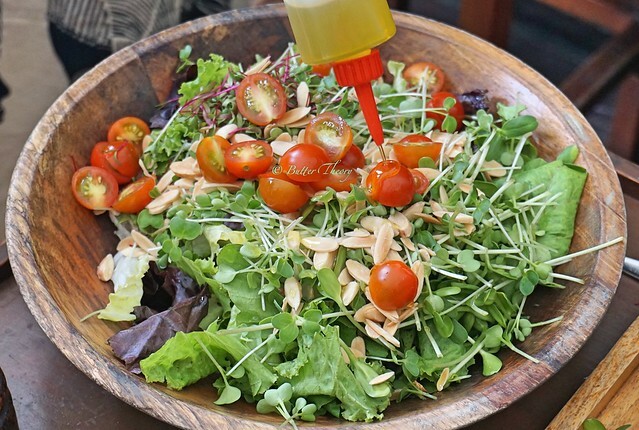 The dressings were extra virgin olive oil, balsamic reduction. 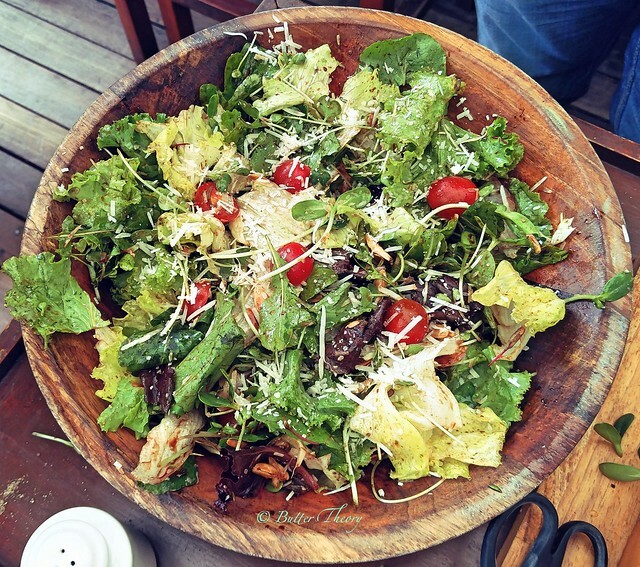 The salad was topped with shredded parmesan cheese! The dish looked fantastic 🙂 The bowl was big enough for 10 people !! 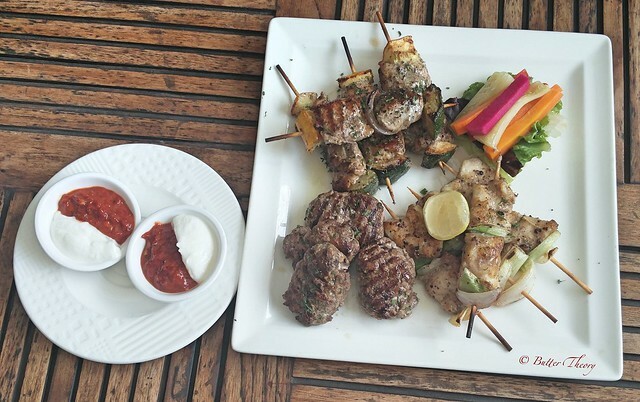 This is a non vegetarian kebab platter that can be shared by 2/3 people. It has 3 meats viz. 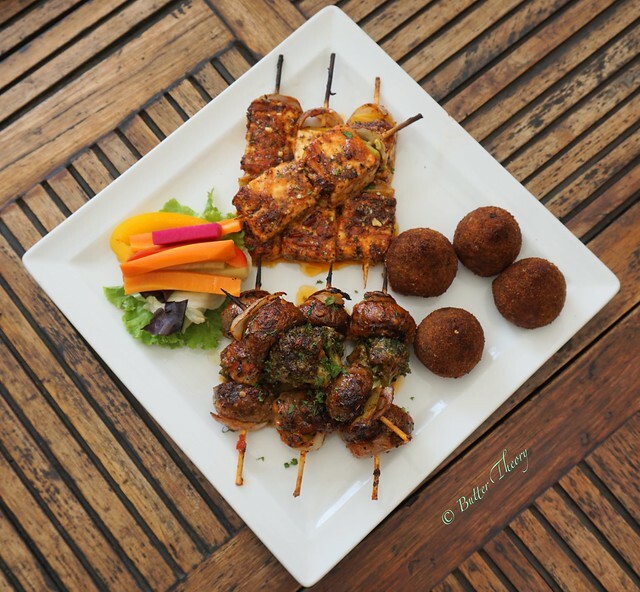 Chicken souvlakia, Lamb kofte kebab, Turkish fish kebabs. The chicken was on point, although some felt it was a little undercooked! The fish was excellent, very smoky in nature. I’m not a very big fan of lamb, so I did not try it. This is a vegetarian platter that consists of cottage cheese skewers, vegetable skewers with dukkah(Egyptian spice blend of toasted nuts and seed) rub and Fava Special stuffed kibbeh(Levantine dish made of bulgur (cracked wheat), minced onions, and meat(this one didn’t have) Middle-Eastern spices ). The cottage cheese tasted very good. The kind of spices used in this dish are very unique and you’d not find that elsewhere! Brocolli, mushrooms were on skewers. They were decent. Again, the dukkah rub on it, made it very much different from the regular BBQ joints where you’d get veg skewers! This is a classic Italian dish, which is basically a dumpling that has a filling sealed with two layers of pasta! The variant we had was a Sundried tomatoes and goat cheese! 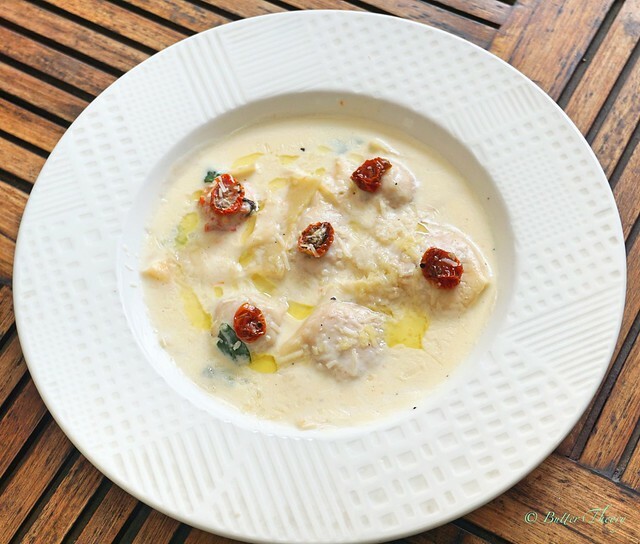 The rich white creamy sauce was a delight to everyone who tried this. This was easily the most sought after dish of the day 🙂 We couldn’t have enough of this!! There’s a lot more that Fava has to offer and what I had was just the Chef Recommended dishes! If there’s ever an itch for Mediterranean cuisine, I know where I need to head to 🙂 And of-course, I still need to experience their Bar offerings! I believe the prices would feel like it’s a bit on the higher side, but the UB city location, beautiful ambience and good service; more than just justifies that! Stumbled on your blog!!! Awesome reviews and cool photographs.. 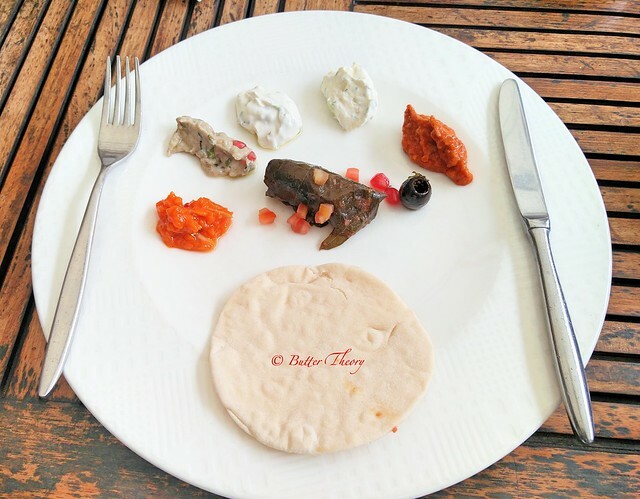 Previous Post UB City – Luxury at it’s best!